South Carolina does not tax Social Security retirement benefits and has a $15,000 deduction for seniors receiving any other type of retirement income. The state has some of the lowest property taxes in the country. Is Social Security Taxable in South Carolina? How high are property taxes in South Carolina? Planning your retirement escape? 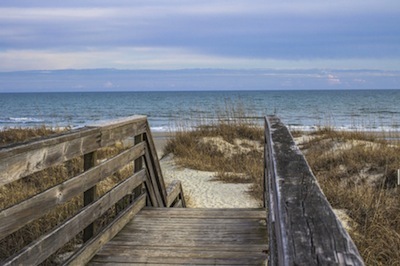 If warm weather, sandy beaches and low taxes are among your priorities, South Carolina may be a good choice. The Palmetto State has some of the country’s most beautiful shoreline, and it's retirement tax-friendly to boot. What makes South Carolina a good choice for budget-conscious seniors? Well, for starters, its cost of living is 4% lower than the national average. On top of that, it provides a full income tax exemption for all Social Security retirement benefits and a $15,000 deduction for seniors receiving any other type of retirement income. Below we’ll take a closer look at that retirement tax deduction, and we’ll also tackle important questions about other taxes in South Carolina including its sales and property taxes. Is South Carolina tax-friendly for retirees? Yes. South Carolina does not tax Social Security retirement benefits whatsoever. It provides a substantial deduction on all other types of retirement income, including income from retirement accounts. Retirees who own a home in South Carolina will fare especially well, as the state has some of the lowest property taxes in the country. No. Any Social Security that is included in your Adjusted Gross Income (AGI) for federal purposes can be subtracted out of your AGI on your South Carolina tax return. This, along with the low cost of living in South Carolina, means it is possible for some seniors in the Palmetto State to survive on Social Security retirement benefits alone. 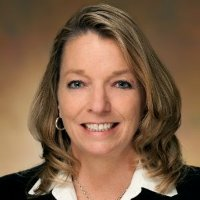 Are other forms of retirement income taxable in South Carolina? Yes, but they are also largely deductible. For taxpayers under the age of 65 the deduction is $3,000. For seniors 65 and older the deduction is $15,000. This can be applied across all types of retirement income, including income from a 401(k), an IRA, a government pension or a public pension. If you are a senior and your total income from all those sources is less than $15,000, you will not pay any South Carolina income taxes. Above that limit, you may need to pay taxes at the rates shown in the table below. South Carolina’s property taxes are among the lowest in the United States. The average effective property tax rate is just 0.57%. This means homeowners can expect to pay about $570 for every $100,000 in home value. Indeed, most South Carolina homeowners pay less than $1,000 annually in property taxes. This contributes to the low cost of housing in South Carolina. Housing in the Palmetto State is 5% lower than the national average. For seniors, however, costs may be even lower. The Homestead Exemption can significantly reduce property taxes, as described below. What is the South Carolina homestead exemption? Homeowners 65 and older qualify for the South Carolina homestead exemption. If the property has served as your primary residence for at least one year, the first $50,000 of your home’s fair market value is exempt from taxation. This can lead to savings of hundreds of dollars each year off South Carolina’s already low property taxes. Apply for the exemption at your county auditor’s office. How high are sales taxes in South Carolina? Sales taxes in South Carolina are somewhat higher than the national average. They range from 6% (the state rate) to a maximum of 8.5% in Charleston County. In most of the state, the rate is either 7% or 8%. Unlike most other states, South Carolina does not fully exempt groceries from sales tax. While the state rate does not apply to groceries, local rates do. Prescription drugs are fully exempt from sales taxes, however. What other South Carolina taxes should I be concerned about? If you plan on supporting yourself during retirement with investments that are not held in a retirement account, it’s important to be aware of South Carolina’s tax on long-term capital gains. Gains made on investments, whether they were held for more than or less than one year, are subject to the South Carolina income tax rates shown in the table above. Long-term gains, which are held for at least one year, do receive a 44% exemption. 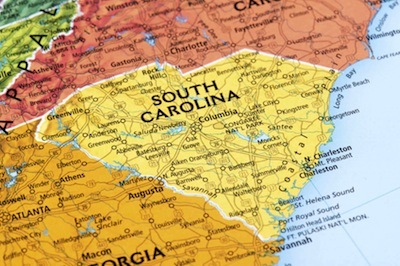 South Carolina does not have an estate or inheritance tax.